Commissions: Here you can give role based commission to the site users of their sales amount. 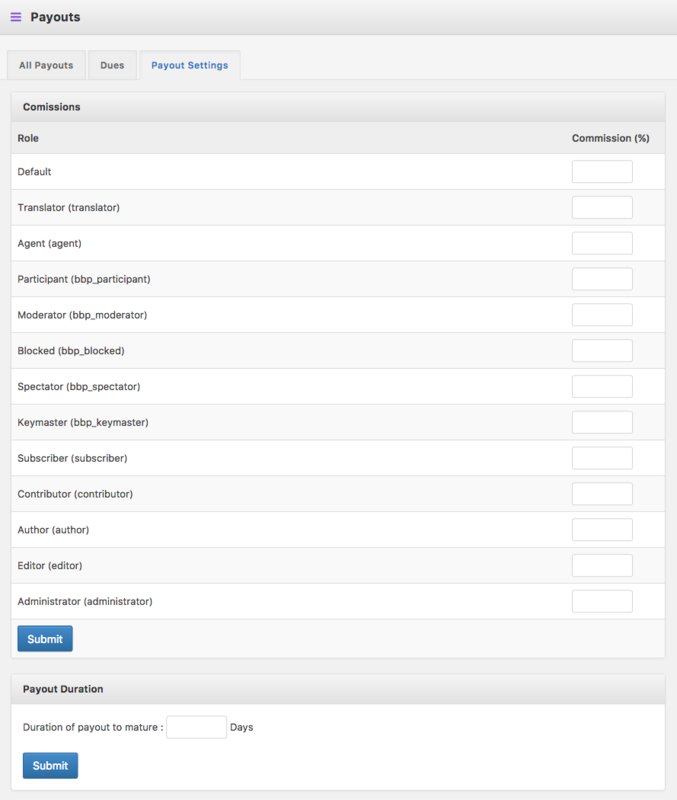 Payout Duration: Here you can set payout duration for your site. After that duration user with front end access can withdraw their balance.